Providing Australasia with "Quality, Affordable Healthcare Products™"
Perrigo Australia markets in excess of one hundred quality affordable healthcare products throughout Australia, New Zealand and beyond. Owners of successful brands such as Nicotinell® and Herron® Analgesics, Perrigo Australia has grown its presence in the Branded Consumer Health market and with its strong heritage brands such as Oripro® and Riodine® the portfolio continues to support a wide range of customers, from consumers to healthcare professionals, across a broad category of therapeutic areas from analgesics to weight management to hormone supplements and skin antisepsis. Founded in 1985 and growing from a small specialty liquids manufacturer, Perrigo Australia is now a leading pharmaceutical supplier of the Perrigo company. Orion Laboratories Pty Ltd., now Perrigo Australia, was founded in 1985 by two young chemists. In 1988 directors of Delta West, a West Australian-based pharmaceutical manufacturer, purchased a majority holding on Orion and enhanced its specialist manufacturing capabilities. In 1991, Orion was released from the group when Upjohn purchased Delta West. As a privately owned and independent company Orion grew rapidly into one of Australia's few pharmaceutical manufacturers and suppliers, particularly focused on hospitals. Orion moved to its expanded manufacturing facility in Balcatta in 2004, from where it operates today. In March 2010 Perrigo acquired Orion and later continued its growth with the acquisition of Omega Pharma in 2015. In February 2014 Perrigo has acquired a wide range of Herron®-branded consumer healthcare products. 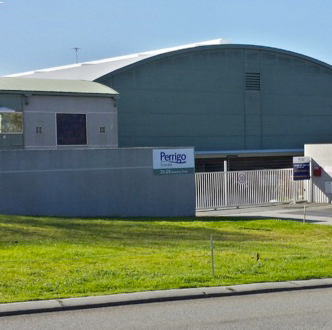 Perrigo Australia has a Sales, Marketing and distribution office in Sydney and Sales Office in Brisbane. Perrigo Company is committed to providing quality, affordable healthcare products™ to consumers in Australia and around the world. We are also dedicated to “doing the right thing” – whether it is the way we manufacture our products, interact with key stakeholders, impact the communities in which we operate, or work together to deliver on our business goals. We act with respect towards our colleagues and others with whom we interact. We communicate openly and candidly and address our differences professionally. We emphasize teamwork, value each person's contribution, and collaborate in confidence and trust. We comply with the law and avoid conflicts of interest. We are reliable, honest and trustworthy in our dealings. We treat the Company's reputation as our own and try to make wise use of our time and the Company's resources. We take responsibility for performing at our best and strive to achieve our own and the Company's potential. We make products that are consumed by our families and neighbours, as well as by people around the world. That is why we are uncompromising in our expectations to deliver high quality, safe, effective and trustworthy products and services to the market. Everyone at Perrigo takes responsibility for ensuring that we develop and manufacture products of the highest possible quality, and that we meet or exceed regulatory requirements. We focus on developing strong relationships with our customers and fostering a high-performing work environment with a strong commitment to customer service. Our ability to deliver excellent customer service is also supported by the use of Lean Sigma processes and tools, and relationship-building with external suppliers in order to reduce supply problems that can lead to customer service issues. To maintain steady growth and remain profitable, we need a steady flow of new products. That is why innovation is an important part of our business strategy. Our innovation efforts focus on leveraging our ability to develop and produce a wide range products and niche active pharmaceutical ingredients. And because we have a unique capability to develop a variety of different dosage forms, we are able to look at a broad range of opportunities to fuel our growth. Company closely manages the costs of manufacturing our products as well as our purchased goods and services. By focusing on the right things and executing them the right way, we make the best use of our resources and ensure our ability to offer our customers the highest-quality products at an affordable cost. and benefits, as well as robust development programs that help them pursue a satisfying career and build our pipeline of talent needed to support global expansion. We Are Responsible: Our Code of Conduct helps all of us at Perrigo act with integrity and safeguards our company's reputation. It contains the global standards we must follow to ensure we uphold our core values, and it provides principles to guide our conduct and help us do what is right. The code applies to all employees, officers and directors, as well as those working on Perrigo's behalf, such as consultants, agents and business partners. Conduct to guide their actions. At Perrigo, our pursuit of quality is not limited to the operational level, but is valued at every level of our business. Our Quality Management System, which is based on current industry and regulatory concepts for a modern quality management system, ensures that quality is fully integrated into our global business processes. Why do we have this focus on quality? 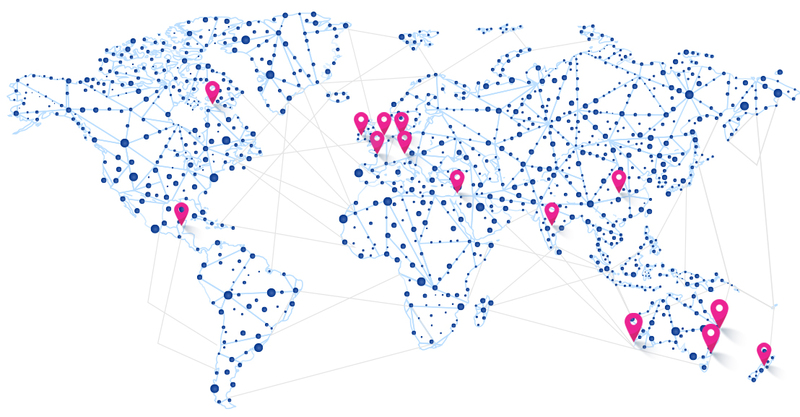 The answer is simple: we want to ensure that every Perrigo product, no matter where in the world it is produced, meets the high expectations for safety and effectiveness held by our customers, consumers, employees, regulatory agencies and shareowners. We will continue to focus on quality as we expand our business across the globe. Our stakeholders and customers expect this from us; we expect this from ourselves; and our ability to produce quality, affordable healthcare products for consumers around the world depends on it. Perrigo's sense of responsibility and commitment that extends beyond the doors or operations, allows Perrigo to thrive in today's business landscape. Perrigo has a strong commitment to doing business in an ethical manner and taking responsibility for its full social and environmental impact. We have a long history of environmentally sound and efficient operations, safe and healthy working conditions, and active participation in the communities where we work. We adhere to good manufacturing practices while keeping a close eye on our environmental impact. We have programs in place at each location to understand our impact on energy use, water consumption, and declining ecosystem services through closely monitoring our ecological footprint. Through these efforts, Perrigo can minimize its impact on the environment, drive responsible business practices and ensure the welfare of its employees now and into the future. Leanne joined Perrigo in April 2016. 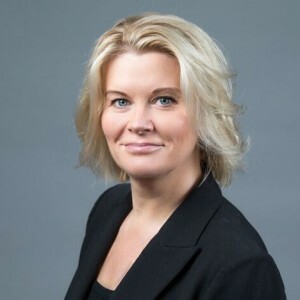 Leanne commenced her pharmaceutical career with Bristol Myers Squibb and has worked for many multinational pharmaceutical companies including Wyeth, Pharmacia, Schering-Plough and MSD holding executive level marketing positions through to General Management and Directorships. 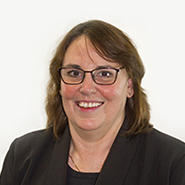 Leanne has successfully managed OTC and prescription healthcare brands on a national, Asia-Pacific and global level with specific experience in implementing consumer healthcare brands in Australia, China, South Korea and throughout South East Asia in a variety of distribution channels, including pharmacy & grocery. Leanne holds an undergraduate degree in Nutrition and a Master’s Degree in Marketing. Joined Perrigo December 2007.Worked in industry since 1992. 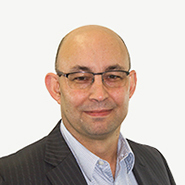 Stewart's experience includes Operations Manager at CollTech Australia, Quality Operations Manager at Chemeq Limited, Technical Design Engineer at Clinical Cell Culture, Director Technical Support at Pharmacia Europe and various roles at Pharmacia Australia including Technical Support Manager and Validation Manager. Responsible for the management and administration of Quality Control, Quality Assurance, GMP compliance, Research and Development and Regulatory Affairs. Joined Perrigo in 2006. Worked in industry since the late 1980's. Work experience includes 20 years in manufacturing in the Fast Moving Consumer Food (FMCG) and Pharmaceutical sectors. Previously held management positions in Engineering, Manufacturing, and Supply Chain Planning and Logistics. Responsible for purchasing, production planning, warehousing and distribution. Debra joined Perrigo in January 2005. 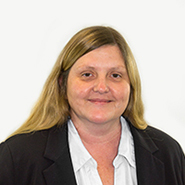 Debra has over 24 years experience in the pharmaceutical manufacturing industry across a broad range of dosage forms including solid oral dose, sterile, liquids, creams and ointments in Europe and Australia for Celltech and Orion / Perrigo Australia. She worked in Development, Quality Control and Quality Assurance and in a variety of management roles. Alistair joined Perrigo Australia in July 2016 transferring from Perrigo UK where he worked from 2013. His experience includes 8 years as a commercial and marketing professional with expertise across the FMCG industry with L’Oreal and the Pharmaceuticals industry with Omega Pharma and Perrigo. 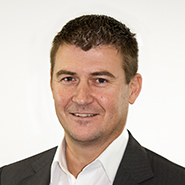 During his time working in the UK Alistair led several teams across the Pharmacy and Grocery channel’s and prior to his current role in Australia was Head of Grocery working pre-dominantly with Woolworths, Coles and Metcash. Alistair is responsible for managing the Consumer healthcare marketing and commercial team In order to create and implement successful brand strategies with our pharmacy and grocery customers under the umbrella of ‘quality affordable healthcare’. Joined Perrigo April 2009. Experience includes 18 years in human resources in banking, financial services, health services and pharmaceuticals. 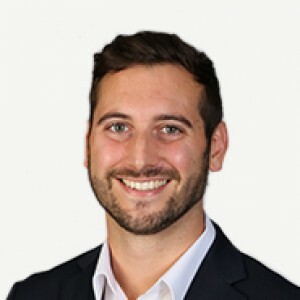 Experience includes working in senior human resources and management roles since 1998 for Australian and overseas companies in areas specialising in Organisational development, Industrial relations, performance management, organisational psychology, training and development and general human resource duties. The Perrigo Company Charitable Foundation is a private, non-profit organization wholly funded by Perrigo Company. The Foundation’s mission is to provide financial support to non-profit organisations that enhance the health, well-being and education of individuals and families in communities that Perrigo serves. The Perrigo Company Charitable Foundation was established in August 2000 as the philanthropic arm of Perrigo Company. The Foundation supports non-profit organizations that impact healthcare and education projects and programs. It also seeks to support healthcare and education initiatives that affect our own employees. For instance, the Foundation funds a college scholarship program for the dependent children of our eligible employees (contact Foundation administrator for definition of eligible employee), and also provides grants and scholarships to the many U.S. school districts in regions in which Perrigo operates.